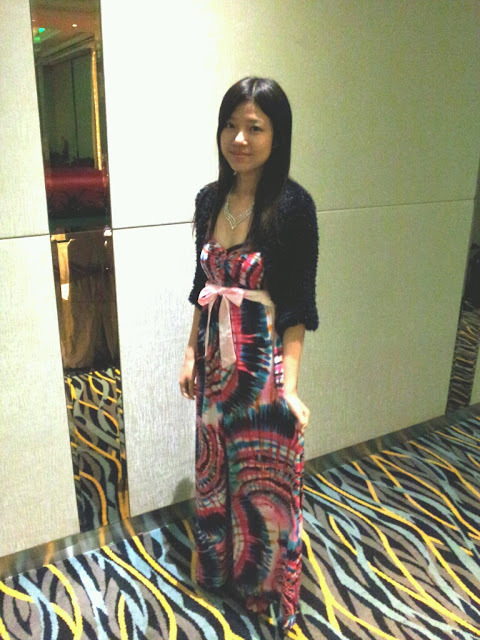 Went for a wedding today, the wedding dinner held at one of the hotel in KL. 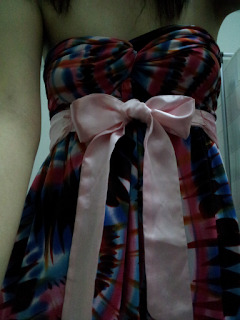 I bought this dress from Nichii, I love this dress so much when I first tried on it. However slowly after I bought it home, I realize that this dress can’t really fit me well and make me looks stunning in front of my full body mirror at home. Uhmm… kinda sad . 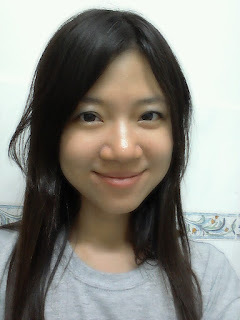 Then I thought of it, it doesn’t fit me well because of the material and also it is not meant to fit u nor shape you. 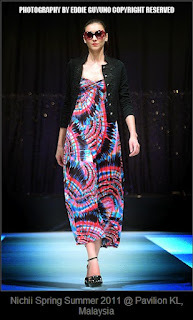 Alright, I accept it but I thought of I should be able to make a change on this lovely dress of mine. 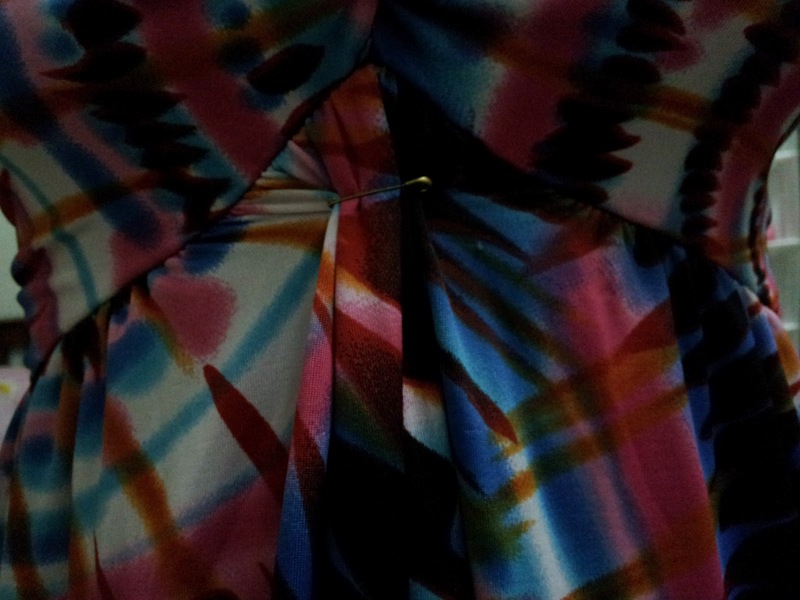 This is really a lovely dress with its lycra material and also the rainbow colors…..
First , I push to focus the cloths from side to middle at my below bust line, to make a nice shape, then I fixed it with a small pin as picture shown below . And then, I put on one pink ribbon to hide the pin. Here is the picture. And … the final product …. Hmm …. Call it a day and I’m going to sleep … Wait a minute , remove the make up properly before you go to bed ! !